More debate on Derren Brown. 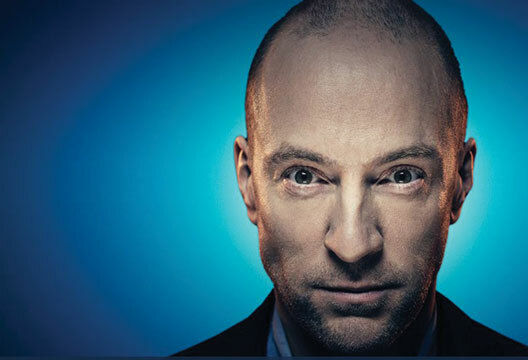 Matthew Wilkinson’s letter (‘The edge of ethics’, April 2016) expressed ethical misgivings regarding a TV show by Derren Brown. Whilst I agree that there are ethical problems posed by Brown’s work, they are not, in my opinion, posed by the manifest content of his shows so much as their misrepresentation of the topics addressed. As a ‘psychological illusionist’ myself with 22 years experience performing stage hypnotism, and an erstwhile long-time acquaintance of Mr Brown, having current relationships with other magicians, I would advise that you take the impression given of what took place with a huge pinch of salt. Those of us in the profession can assure you that nothing Brown has ever done has entailed anything other than very old magic/mentalist tricks simply re-packaged to use ‘psychology’ as a misdirection. Whereas a Victorian mentalist might claim to be psychic to explain his apparent mind-reading skills, Brown attributes his effects to psychology; but the tricks are the same. I’d wager the magicians featured elsewhere in the April issue could point this out. One of the oldest magicians’ techniques entails provoking a participant’s reaction to something they are shown in such a way that the audience believes they are reacting to something else. In the instance cited of participants’ facial reactions, we do not in reality know what those reactions were to. Very easy on TV, in which even their verbal responses may be in reaction to questions other than those presented to the viewer. We do not know whether Brown’s participants in fact really believed they had committed the act or whether their reaction was to this or something else presented to them. The whole thing smacks of 19th-century stage hypnotist stunts in which various ‘subjects’ were induced to supposedly commit murderous acts using harmless stage props. Or indeed, Jack Watkins’s supposedly inducing U.S army personnel to (harmlessly) ‘attack’ superior officers, divulge phoney ‘secrets’ or attempt to handle rattlesnakes unaware of a protective screen of ‘invisible glass’. Clearly, as has long been pointed out in relation to such ‘experiments’ conducted by Watkins and others, the mere fact that the set up has been sanctioned tells the participant that what they are being supposedly induced to do cannot in fact contain real hazard. The presence of safety measures, even if concealed, are implicit in the fact the scenario can legally exist. Whilst Brown has attempted to redeem himself by ‘de-bunking’ psychics, in truth the real ethical problem with his work is that his use of corny tricks passed off as ‘psychology’ lends credence to some of the most egregiously spurious nonsense of our age, such as his one-time pretence that they utilised the ‘power’ of NLP. As a performer I do not insult my audience by assuming them to be gullible dupes. James Randi observes that scientists are the most easily duped. I advise developing a degree of scepticism.